Chicago is getting a taste of Cuban culture this week as Malpaso Dance Company makes its Chicago debut at the Dance Center of Columbia College. The Havana-based contemporary dance company performs on the Dance Center stage March 9 through 11. Malpaso Dance Company focuses on introducing audiences to Havana’s rich culture through the works of both highly sought after international choreographers and up and coming Cuban artists. During their Chicago run, the company performs Indomitable Waltz by choreographer Aszure Barton, which the company premiered in September 2016, and 24 Hours and a Dog by Malpaso Artistic Director Osnel Delgado in collaboration with the company dancers. Delgado spoke with Third Coast Review about the upcoming Chicago shows. 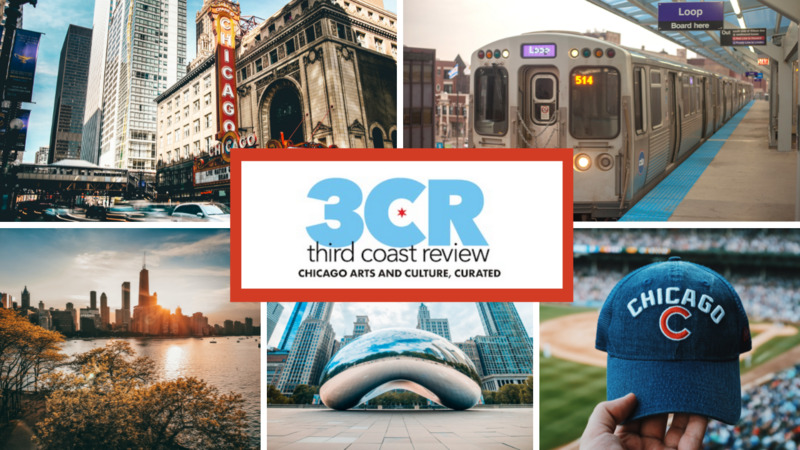 Third Coast Review: Tell me about the show planned for Chicago. Osnel Delgado: We’ll present two works: Indomitable Waltz by Aszure Barton and 24 Hours and a Dog by Osnel Delgado. TCR: Tell me about Aszure Barton. How did you decide to include Barton’s in the show? OD: Our touring repertory is open to the preferences of presenters. Aszure’s work is our most recent collaboration with a guest choreographer. It is a powerful, beautiful work that we like very much. TCR: How would you describe Indomitable Waltz? OD: An exploration of the soul under extreme emotional circumstances. It embodies Aszure’s fundamental principle of understanding dance as an everlasting work in progress. TCR: How would you describe 24 Hours and a Dog? OD: A collective creation that departed from existing music by Arturo O’Farrill, who ended up composing the overture of the piece. The choreography is an abstract rendering of a day in the life of our dancers in our city of Havana. TCR: Is it important for you to depict Havana as seen in this piece? If so, why? OD: If [it’s] a depiction of the city at all, it happens through the intense physicality displayed. As typical so far in our works we have no scenography, no props either in this particular work. Through the improvisation process, the dancers turned to be the characters of the piece that was structured in sections according to an ordinary day in their life: Walking the dog, working in the studio, lunch time, chased by a dog, daydream (duet), G Street (Finale). TCR: How do the two pieces fit together? OD: There is an obvious contrast between the works, which is not unusual to many repertory dance companies. The cohesive element is the honesty and versatility of the dancers, and the authenticity of the creative processes. TCR: Why do you feel it is important to showcase Cuban dance? OD: It is our job, our pleasure, and our duty. Cuba is a dancing island, it is our mission as artists to approach and define on a daily basis what the cultural condition of being Cuban is all about. We are aware of where we come from, and it is embedded in our work. TCR: How many dancers perform in this show? OD: There are 11 dancers touring this time. 24 Hours and a Dog is a nine dancers piece. Indomitable Waltz is an eight dancers work. TCR: While the company is in Chicago, members will participate in residency activities with Columbia College students and other groups throughout the week. Are you looking forward to the residency activities? OD: Very much. It is a very efficient way of interacting in an ample way with Chicago’s dance community. It is always a great deal of learning to all of us. TCR: What are you most excited about with this show? OD: The first time exposure of our company to the audiences in Chicago. TCR: What do you hope the audience takes away? OD: Our honesty and strong commitment to a high quality work and to exchanges and collaboration, that we embrace as a way of fighting our own cliches and assumptions. It is a tool to expand our artistic and human visions.